Today you will not surprise anyone with an ordinary roof with a modest two ramps. Many developers want something more creative, and they choose projects of houses with a complex roof. Well, for example, hip or hip - both of them look very beautiful. However, the intricate shape of the roof and requires additional elements. 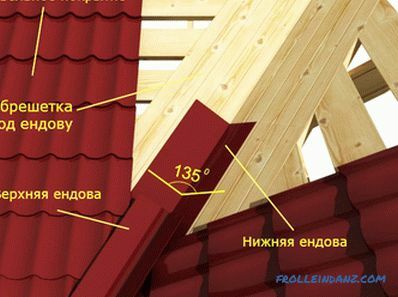 Today we will talk about one of them, named endova - what it is, interests many who are just beginning to understand the construction of the roof of a house. So endova is a connecting element between two planes of a complex roof in the place of its break. But, unlike the ridge, it is placed where the roofing slopes are joined to each other, forming a negative angle. 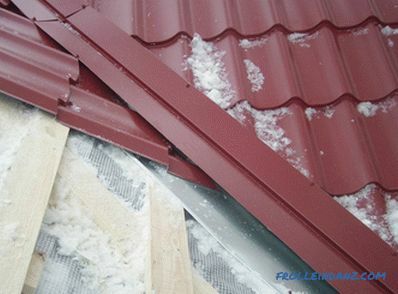 The purpose of the valley is simple: to prevent water and various debris from entering the roof. In fact, they serve as a kind of gutters to help remove all this from the roof. The more complex the roof configuration is, the more joints it has. Accordingly, such protective gutters also need more. Roofs requiring the mounting of such elements can be very diverse. Usually endova put on cruciform roofs, as well as made in the form of letters "G" or "T". The most popular T-shaped roofs. 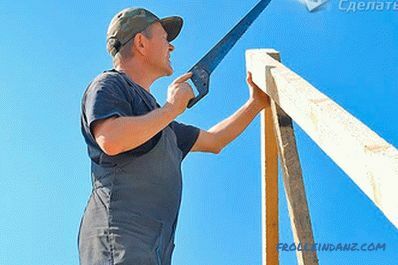 We should not forget about the bends of the roof, which may be on the protruding windows of the attic or dormer windows. By the way, please note that the increase in the complexity of the roof structure will have a strong enough effect on the cost of the work. And it will not be very cheap to maintain the intricate roof in the future either. In order not to miss anything, it is advisable to make a detailed plan, where all the abutments of the roof are indicated. This plan is then divided into separate rectangular and square parts. The largest rectangle is the house itself, and the extensions are indicated by smaller squares and rectangles. Designating the girders, connect the corners of the roof of the house with the corners of the roof extensions. This is how the places of our future gutters are determined in advance. Important: if you don’t think of a device for endyas, you can pay too much for it. Moreover, the result can be not only streams of water from the ceiling, but even a collapsed roof. This is quite possible if the snow will not be removed from the roof, but accumulated on it in large quantities. Therefore, it is worth consulting with experts who take into account both wind loads and sedimentary loads. After all, everyone remembers the saying about the mean who paid twice. are arranged There are two types of valley - the lower and the upper. 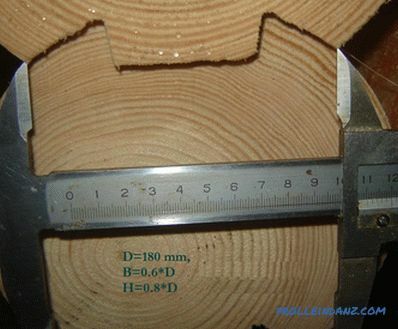 The bottom one should provide reliability and tightness, and the top one, basically, performs a decorative function. Therefore, the lower endova is made of durable galvanized steel strip that protects the space under the roof from water. The edges of this wide falshendovy (that's what they call it) are bent so that the water does not overflow. And its lower edge is located above the eaves. Well, and the top bar, protruding above the bottom by 15 or 20 centimeters, is designed to cover the junction nicely. 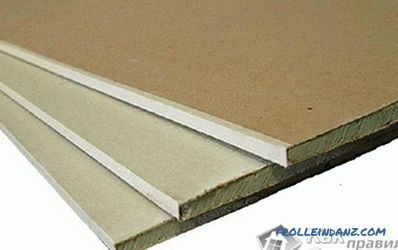 After all, it does not have to be durable, and it is usually made of roofing material, and is mounted only after the roof has been completely laid. Planck of the upper end valley. To endova not sag, under it put a solid crate of edged boards, treated with antiseptic. It helps to withstand heavy loads (in the form of snow drifts, for example). In some cases, waterproofing is applied to the crate. The joints of the roof planes, covered with a valley, can touch or connect in three different ways. Accordingly, the endova according to the method of installation can be open, closed or intertwined (articulated). # 1. Endova open is the simplest solution. 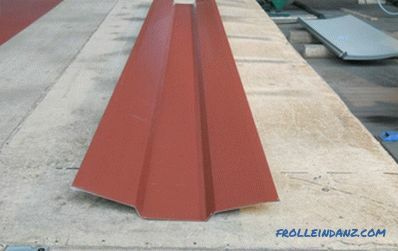 Here it is only possible to use it only on roofs that are not very steep slopes. 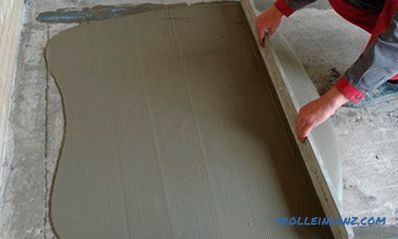 With this method of installation, the roof joints have a gap in which our groove is located. 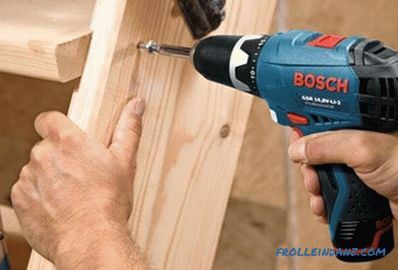 It is attached roofing screws, screwed through 30 centimeters. Installation of the bottom endova begin from the bottom up. For reliability under the bottom enclosed waterproofing. At the end, the decorative endova is mounted upper (from bottom to top, with a ten-centimeter overlap of individual parts). # 2. Endova closed is used on roofs where the angles between the roof planes are sharp. The joints of the roofing material in this case tightly connected to each other, passing over the valley. # 3. Endova interlaced is also completely covered with a roof, but separate rows of roof sheets, on neighboring planes, intertwine with each other. 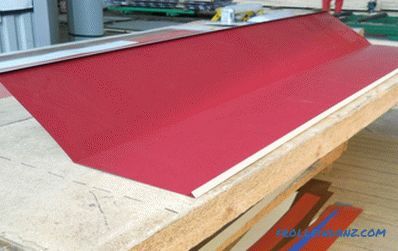 The choice of the type of end valley depends both on the angle of inclination of the ramp and the roofing material used. The appearance of the open gutter is not as presentable as the elements of the closed or articulated species. Installation takes longer than with the open method. Here we have considered what a roof roof is. As you can see, her name is only cunning and not everyone knows, and the essence is very simple. 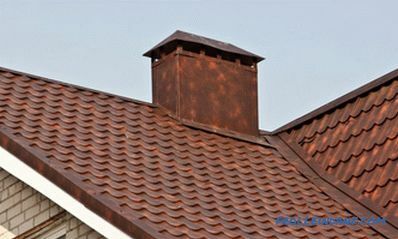 And we cannot do without this important element of the roof in any way, otherwise the roof will start to flow very soon.